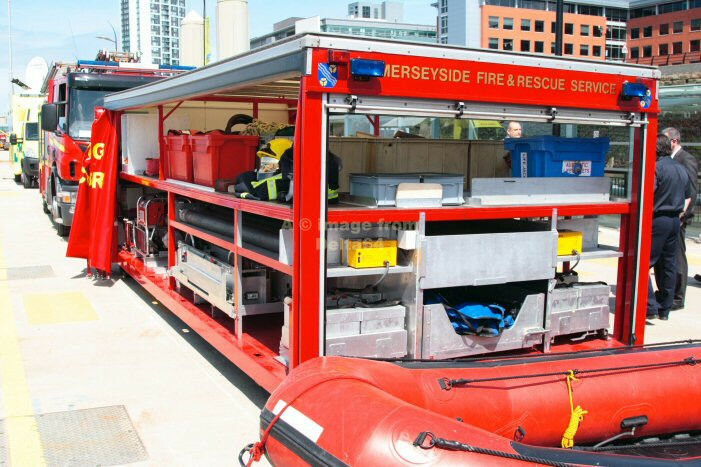 I am most grateful to Merseyside Fire & Rescue Service for the kind invitation for me to share in Operation Manta and to bring pictures to the website. 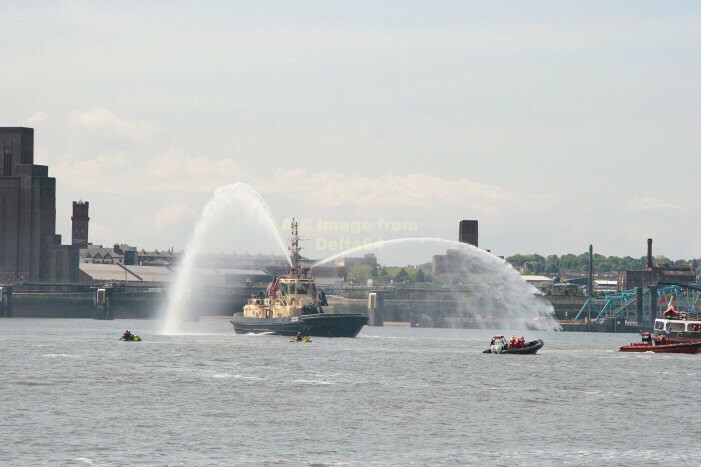 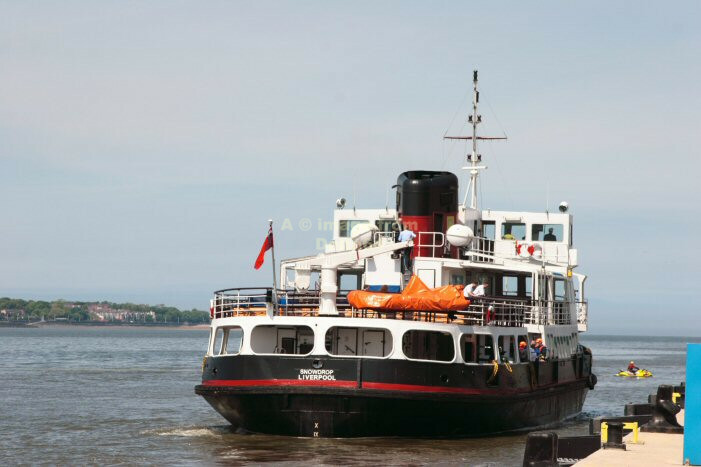 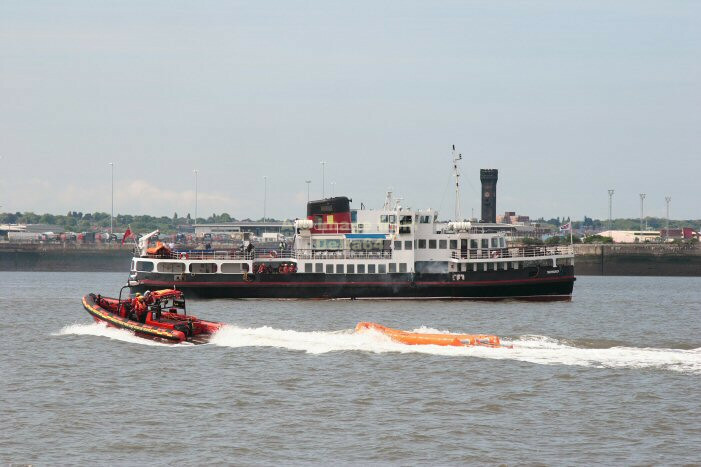 The Fire & Rescue Service highlighted its capabilities by staging a live exercise on the river, simulating a fire aboard one of the Mersey Ferries ~ SNOWDROP. 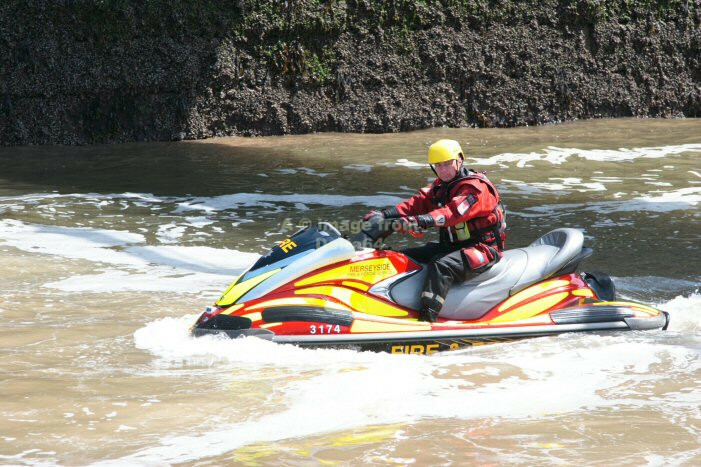 The exercise included use of the multi-person slide raft, as well as jet skis and the Hazardous Area Response Team, part on the North West Ambulance Service. 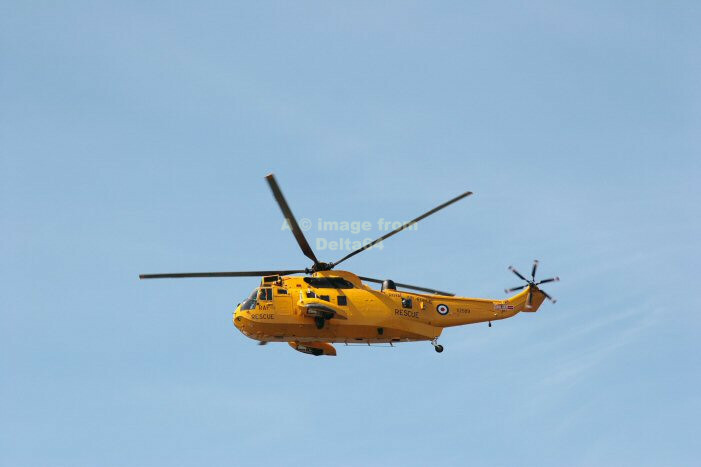 Additionally, a Sea King helicopter was scrambled from R.A.F. 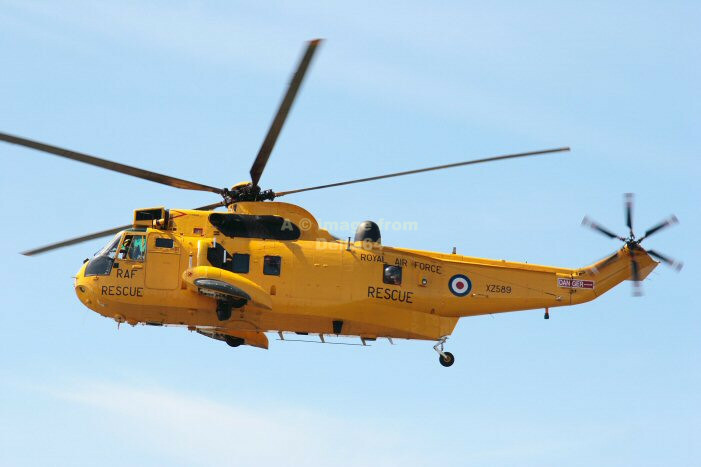 Valley in North Wales and was used to lift 5 of the most seriously injured casualties from the ferry. 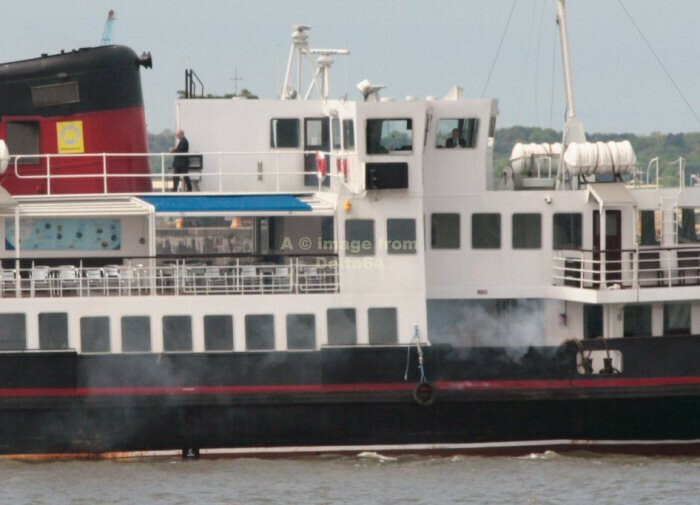 Mersey Ferry 'SNOWDROP' with a fire on board and a complete loss of power mid-river. 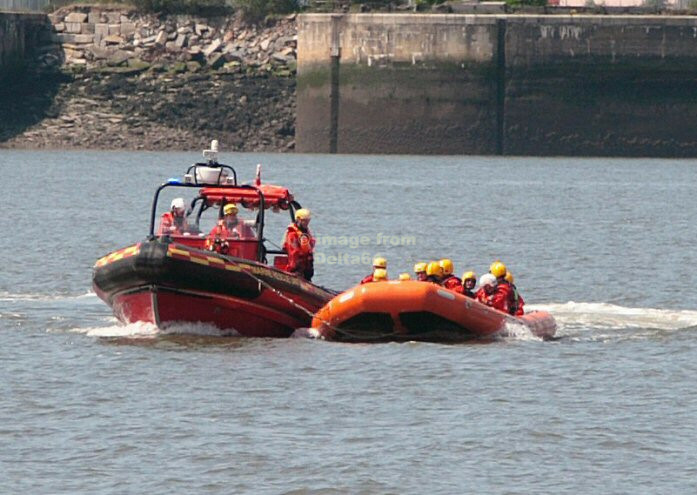 The first reponse to the incident was from Marine Rescue Unit 1. 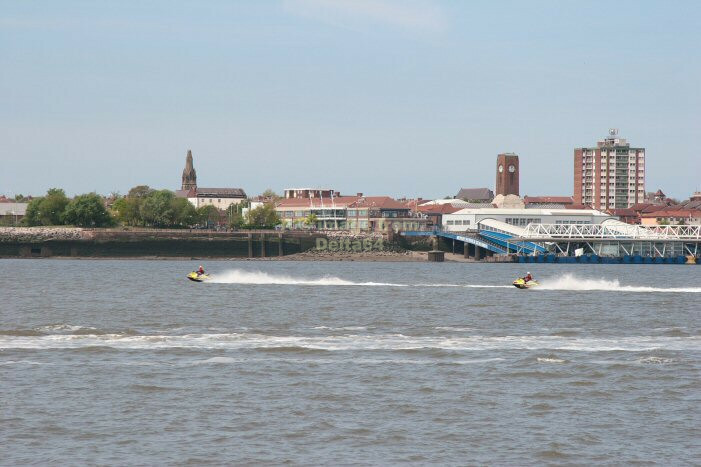 Further assistance was given by Marine Rescue Unit 2 and the 2 jet skis. 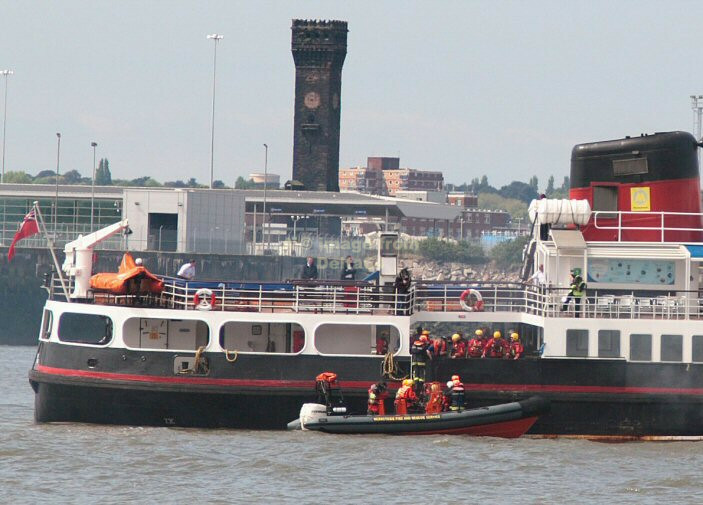 Crews were quickly on board the vessel ready to assess the situation and commence fire-fighting and rescue. 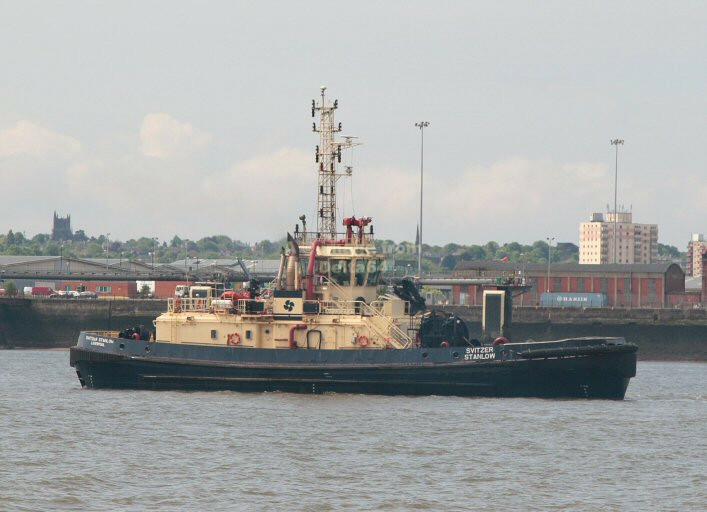 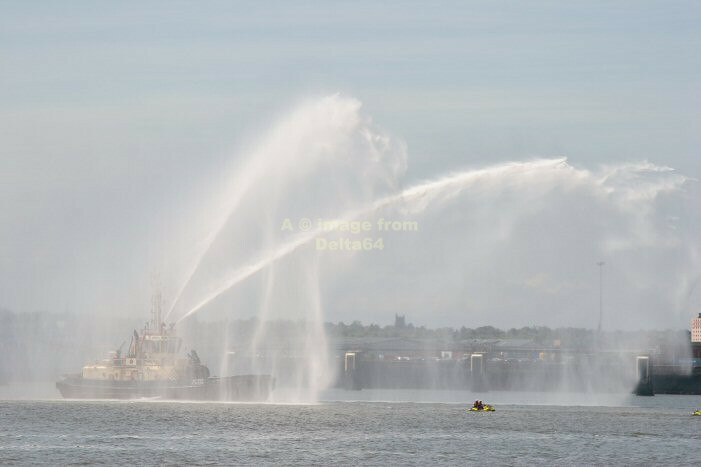 The tug-boat SVITZER STANLOW also repsonded, with its fire fighting capabilities seen below. 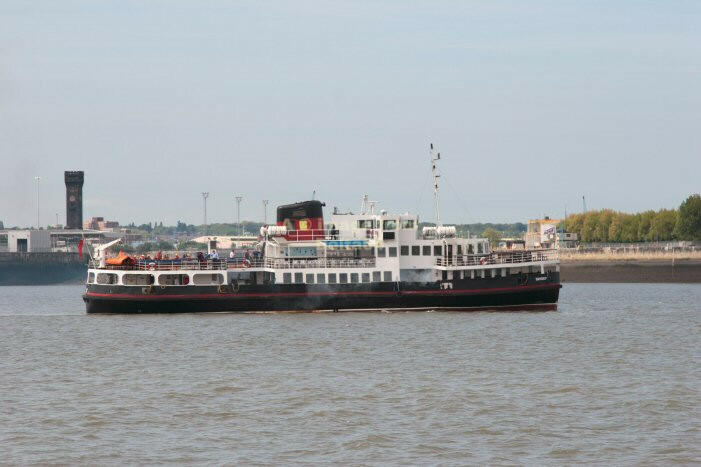 Meanwhile the first evacuees were being taken from the vessel using the slide raft. 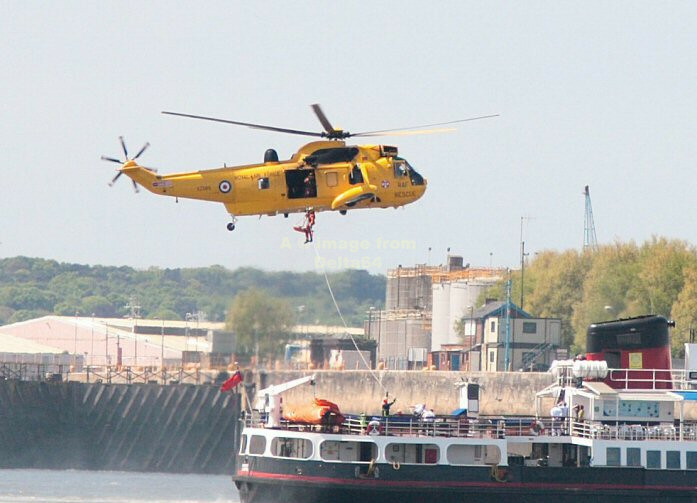 However, there were 5 casualties with more serious injuries who required airlifting ashore. 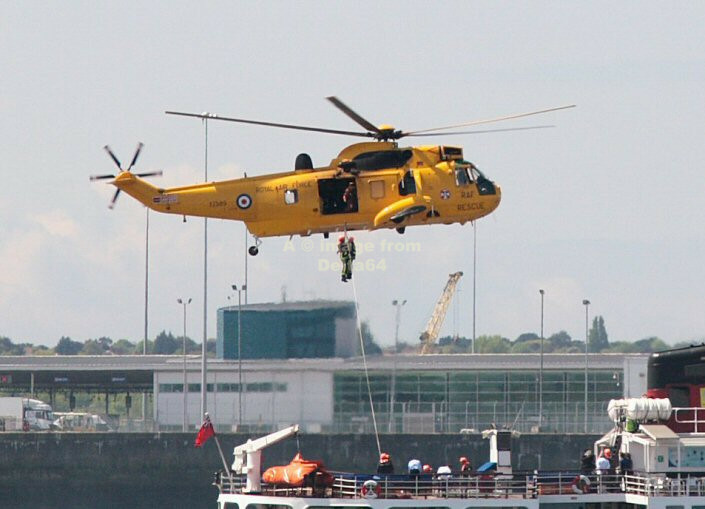 This Sea King helicopter arrived from R.A.F Valley in North Wales. 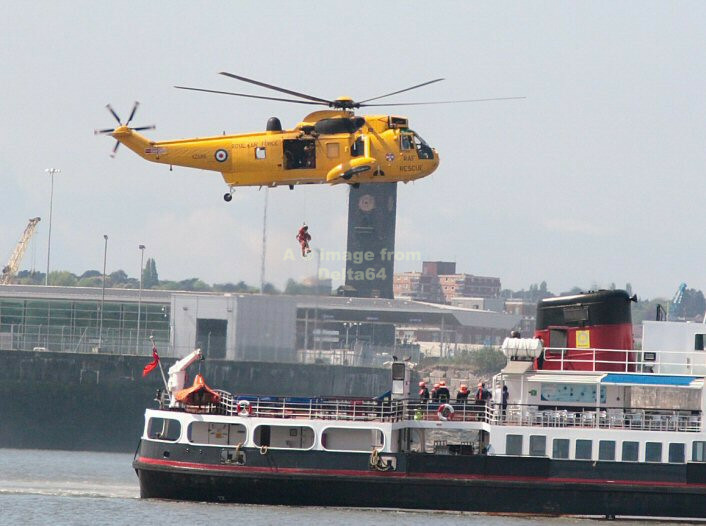 Once in attendance the winch was used to lower a crew member on to the stricken vessel. 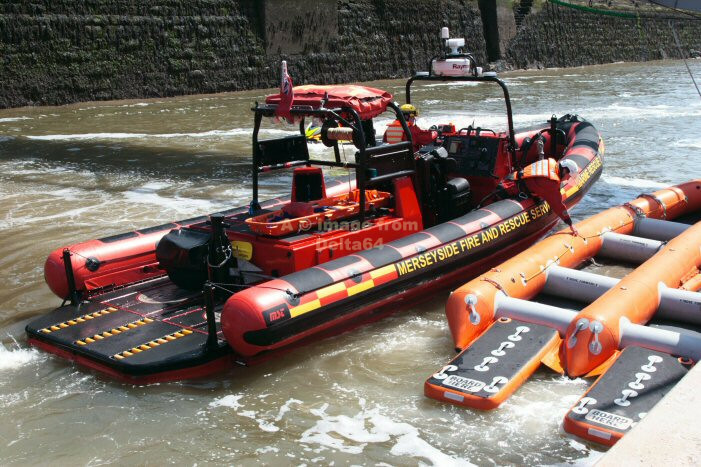 It wasn't long before rescue was effected. 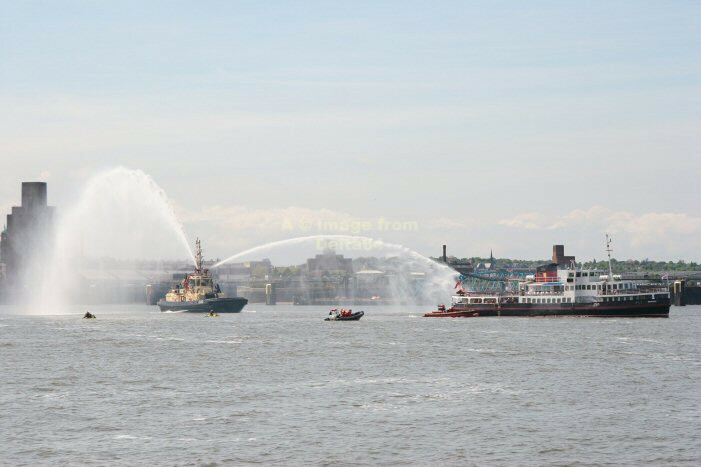 The last casualty was removed on a stretcher. 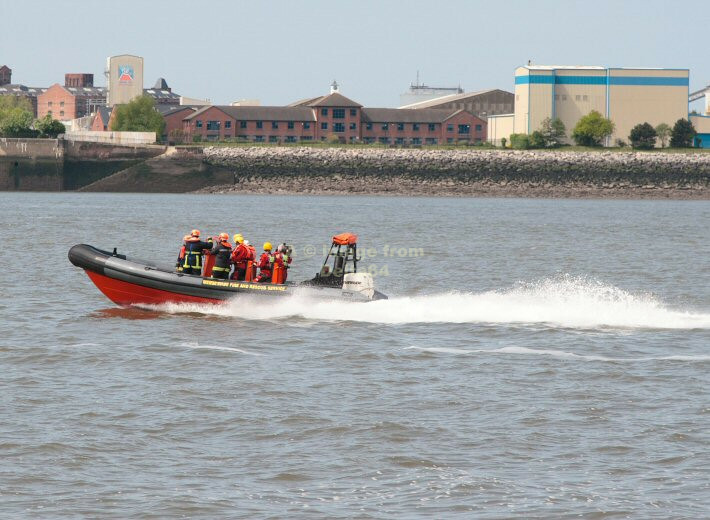 With all 5 casualties on board, XZ589 made its way to the Coastguard Station at Crosby where they were put in the care of paramedics. 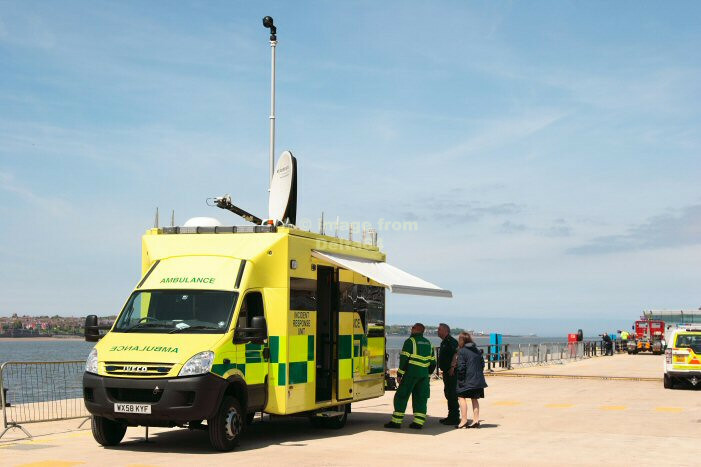 The pictures below show some of the vehicles and equipment in attendance, including some of the other agencies involved, for the sake of completeness. 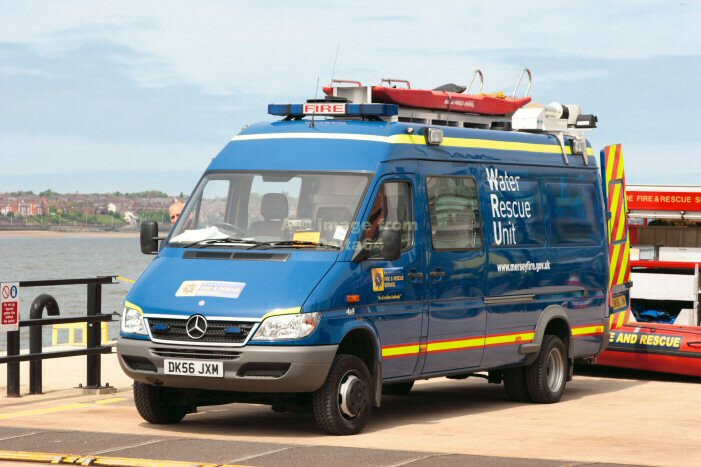 Mercedes Water Rescue Unit DK56JXM from Station 19. 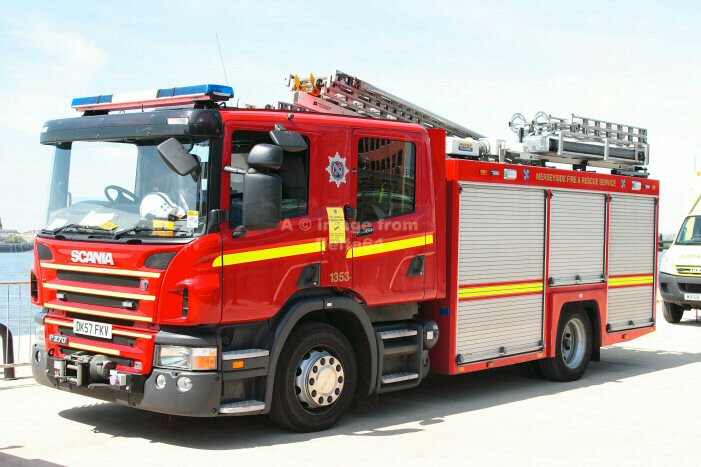 Scania DK57FKV also from Station 19. 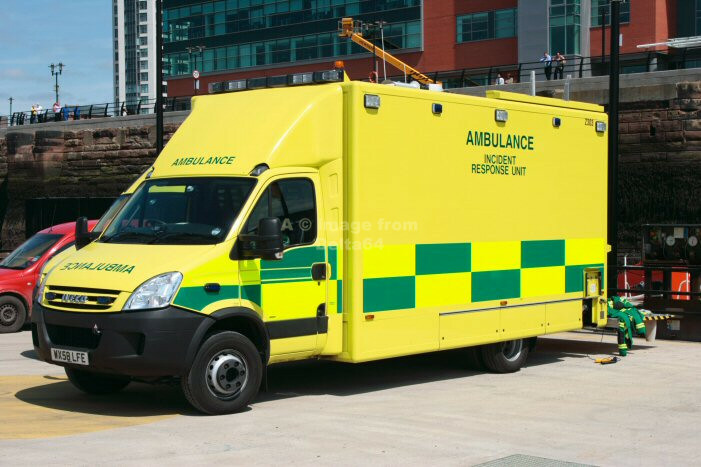 ...along with WX58LFE another Iveco. 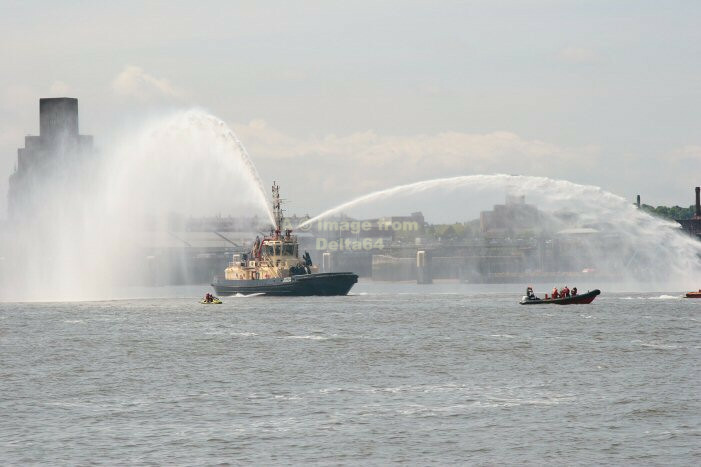 The Marine & Tunnel Firefighting Unit. 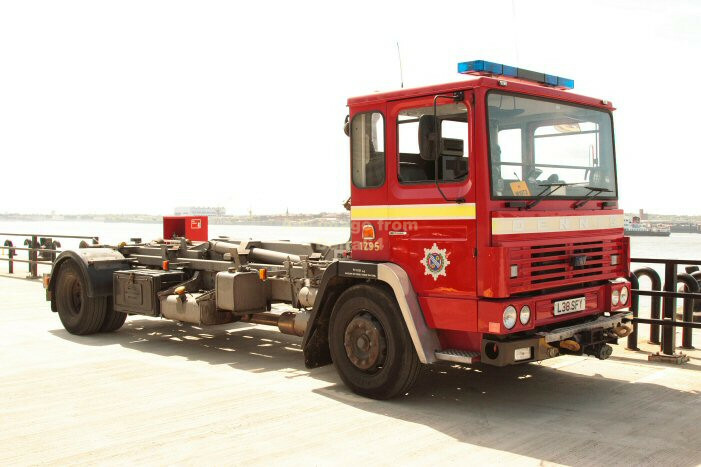 Dennis Prime Mover L38SFY had transported the pod from Station 10. 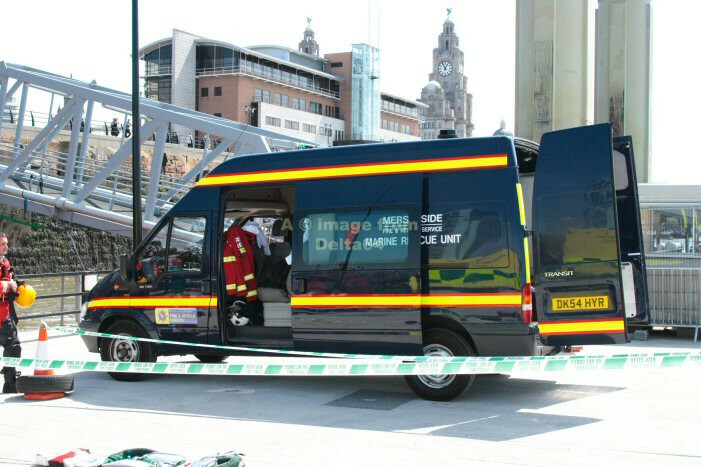 Ford Transit Marine Rescue Unit DK54HYR. 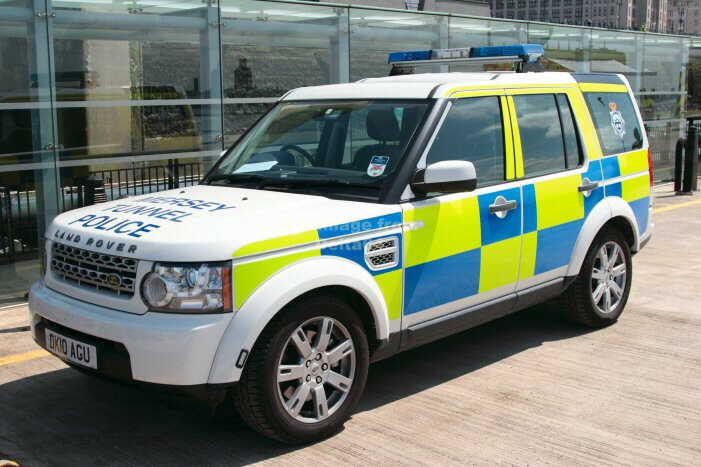 Land Rover DK10AGU from the Mersey Tunnel Police. 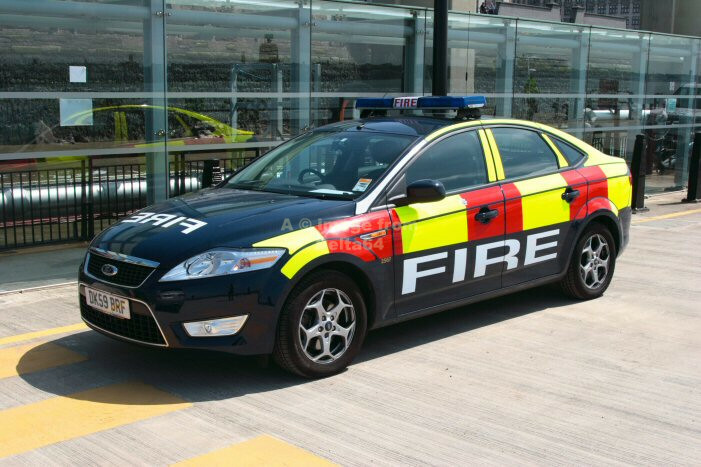 Ford Mondeo DK59BRF from MFRS. 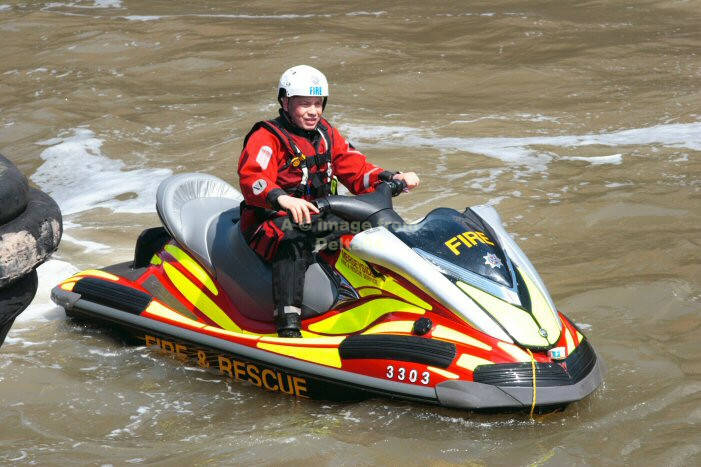 Marine Rescue Unit and Slide Raft.